If I’m craving crabmeat pasta, there’s one place I would go to in a heartbeat for a guaranteed winner – and that’s La Cantina In Venezia, or more commonly known as, La Cantina. 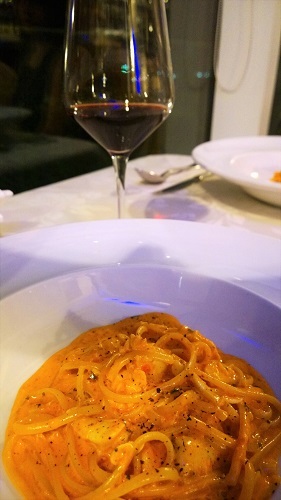 The linguine al granchio has plump pieces of sweet crab meat, swimming in a rich, creamy tomato sauce – my absolute favourite in Singapore! It’s not just the crabmeat pasta that draws me back, time and time again, to this charming ristorante, located at Changi Village hotel, but I’ve pretty much never had a bad dish here. From the antipasti, which is piled high with various cold cuts and cheeses to the grilled tenderloin, it’s like going to your favourite Italian and knowing that whatever you order is going to be yummy. 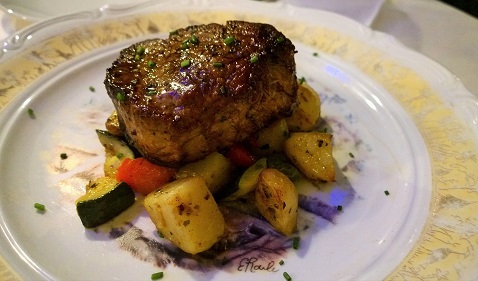 I’ve tried the rack of veal, grilled lamb and grilled fish of the day – and they have all been delicious. 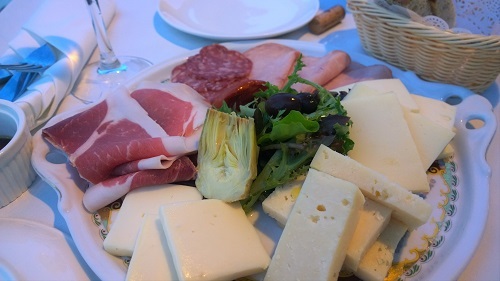 But like a robot on auto-order, we always order an antipasti of sorts to start, definitely the crabmeat pasta and then one of the mains I listed above. Just like Italian family-style dining, we share each course. And it’s enough to make you want to skip dessert – which is not a bad thing, because the one thing that pales in comparison to the pastas and the mains is the dessert course. 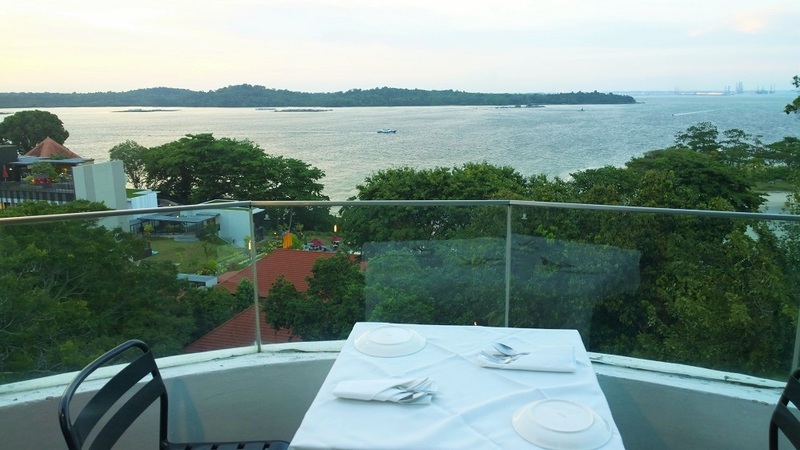 Book an outdoor table, and you’re almost transported to some beachy villa restaurant – the beautiful cirrus-cloud-dotted skies, the breeze and the accompanying slapping of the tarp against the wind, it even reminded my partner of idyllic Mykonos in Greece. Well, usually it’s crazy windy during this time of the year (January), and although we really enjoyed it for a while, we didn’t want to risk wine glasses or salad leaves being flung our way, so this time, we chose to have aperitif and antipasti to enjoy the sunset, and moved on inside to have dinner. 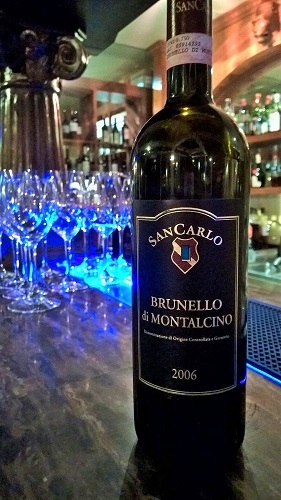 That’s also because we had a stunning bottle of Brunello and we wanted to be able to drink it, not lick it off ourselves! Oh, the corkage is only $20, so if you have a good bottle of wine, bring it, they’ll decant it (they patiently decanted ours for more than an hour and the wine was sublime) and you can enjoy the wine and the savings too. La Cantina is definitely one of my favourite Italian restaurants in Singapore!